Little, Brown and Company, 9780316341202, 984pp. A selection of David Foster Wallace's life's work, introducing readers to his remarkable humor, kindness, sweeping intellect, and versatility as a writer. This deluxe version of THE DAVID FOSTER WALLACE READER is a beautiful tribute to one of the most original writers of our age. With an exclusive printing of only 250 copies, the limited edition is bound in white linen and features a sewn-in shoelace bookmark, a slipcase, hand-numbered plates, and original artwork from Karen Green. The cover art, a painting titled It's Fun to Read, was created expressly for the limited edition by Karen Green in 2014. Each copy of the limited edition contains one piece of the original painting. 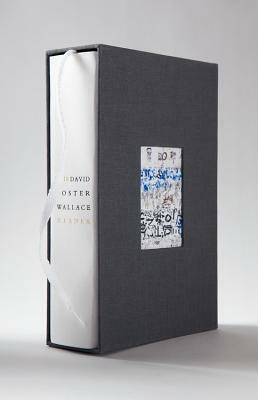 The book itself is a compilation of Wallace's brilliant fiction and nonfiction, including previously unpublished writing, such as Wallace's teaching materials-introduced with an essay by his mother, noted grammarian Sally Foster Wallace-and features new writing by a dozen prominent authors and critics. Karen Green is an artist and writer living and working in Northern California. Her most recent book, Bough Down, was awarded the 2013 Believer Poetry Prize. Ms. Green married David Foster Wallace in 2004 and is cotrustee of the David Foster Wallace Literary Trust.